To me selling is like playing a poker game, especially the Texas Hold em Poker. 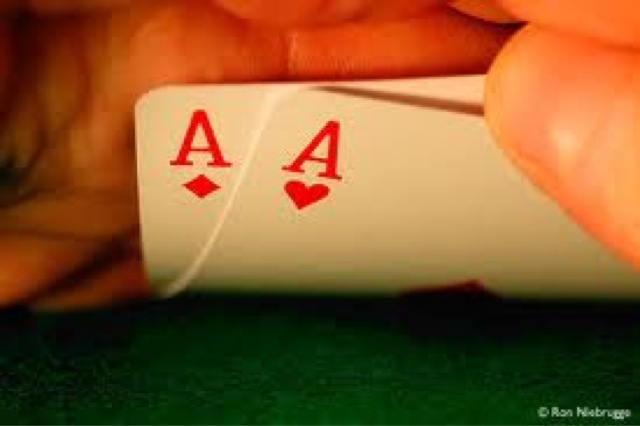 In this game, you might be holding a great card of a beautiful "Ace" which all poker players love to have. You start with high hope with the strong Ace in hand but at the end you realized you lost the game because the dealer won over you with a pair and you only have the Ace. Hope turns no hope eventually. On the other hand, you might start the game without any hope when you hold a small card of "2" or "5" only. With courage and skill you move on to play, when you improve to draw another pair of "2" and "5" for your cards. From no hope at the beginning, you turn the game into hope and finally you win the play. Selling is the same. You might have a rich and successful prospect who wants to see you. Having much high hope that you could sell because the rich prospect has the financial means. However after a long session and comparison of products, prospect turns you down. With high hope at the beginning, the sale ends with no hope because of the rejection. Don't under estimate the simple looking prospect who looks poor and innocent. You might consider such prospect as little hope that he could buy your insurance. If you have the right skills and confidence, the unexpected poor prospect might purchase a size able plan from you. From no hope in the first place, it turns into a great hope.